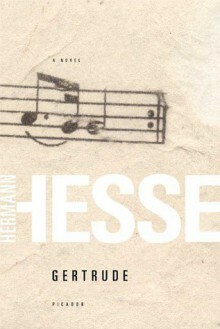 With Gertrude, Herman Hesse continues his lifelong exploration of the irreconcilable elements of human existence. In this fictional memoir, the renowned composer Kuhn recounts his tangled relationships with two artists--his friend Heinrich Muoth, a brooding, self-destructive opera singer, and the gentle, self-assured Gertrude Imthor. Kuhn is drawn to Gertrude upon their first meeting, but Gertrude falls in love with Heinrich, to whom she is introduced when Kuhn auditions them for the leads in his new opera. Hopelessly ill-matched, Gertrude and Heinrich have a disastrous marriage that leaves them both ruined. Yet this tragic affair also becomes the inspiration for Kuhn’s opera, the most important success of his artistic life.